All indicators point to the fact that the language services industry is doing well. In the United States, the total headcount nearly doubled over the past decade. Investment bankers are bullish about the sector’s prospects. Even venture capitalists see opportunities. And over 200 private investors participated in a Finnish language service provider’s recent EUR 0.7m crowdfunding. 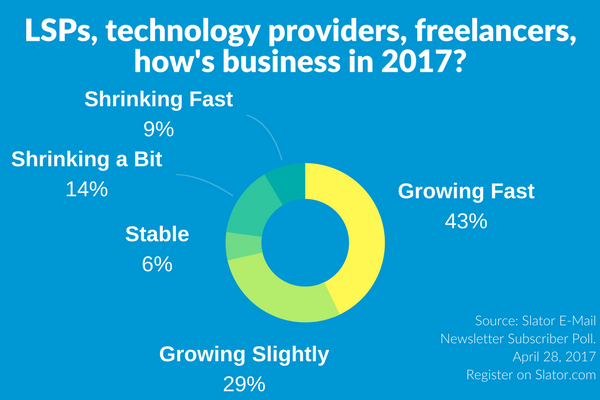 Nearly three quarters of Slator readers who participated in a poll conducted among our email newsletter subscribers concur that business is good. Only a small minority of 9% see their businesses deteriorating fast. Admittedly, the term disruption has become wildly overused. And the boom in machine learning, artificial intelligence and, in the language industry, neural machine translation, is fueling yet another media cycle packed with announcements about how this industry or that profession will go the way of the horse and cart. 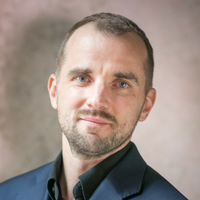 But there is no denying that, in the language industry, technological progress has accelerated in many areas of the supply chain (NMT, adaptive machine translation, dozens of connectors, etc.). Therefore, we wanted to know where our readers think disruption in the language industry might eventually originate from. Will an established language service provider or an industry startup succeed in aggregating demand (disruption from the inside)? Or will a tech giant somehow out-innovate industry insiders? Opinions are divided as our poll shows. To balance all the talk about disruption and the hype around neural machine translation, we wanted to know if there are still buyers who do not ask for discounts generated by the use of the good old translation memory. There are a million ways to fine tune this question and make it more specific. But the point was to get a sense of whether translation memory use has become ubiquitous or if there is still a considerable number of buyers who do not ask for potential discounts generated by repeat content. David Altmann from nlg GmbH commented that “I can only assume that we are mostly talking about (small) companies that don’t know what TM is and the supplier doesn’t care to tell the client, to make more profit.” Altman suggested that a good follow-up question would be to ask how many small LSPs are not passing on TM savings because clients don’t ask. 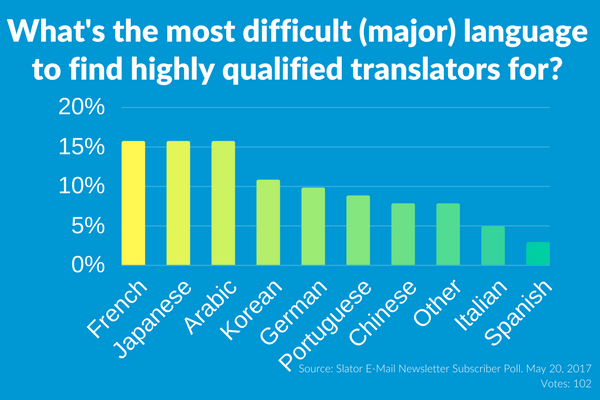 French, Japanese, and Arabic share the crown of being perceived by our readers as the most difficult major languages to find highly qualified translators for. Fewer respondents mention Korean, German, Portuguese, and Chinese as tough to source. And only a handful think Italian and Spanish present the greatest sourcing challenges. Happy hunting, Vendor Managers! 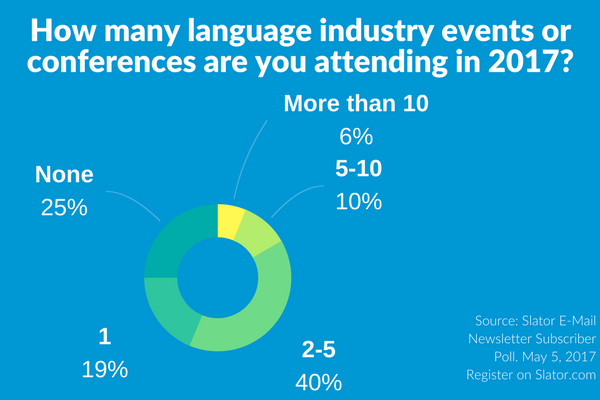 Many of our readers take advantage of the diverse mix of events, meetups, and conferences that are on offer in the language industry. 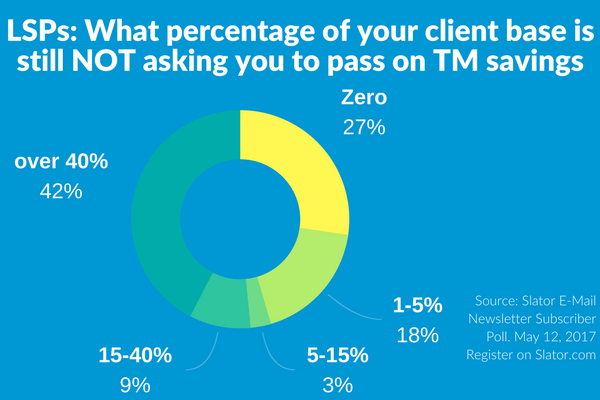 Only one-quarter of poll participants is not planning to attend an industry event this year. 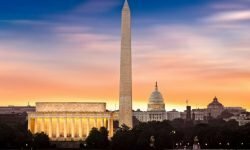 On the other end of the spectrum, 6% of respondents are collecting a lot of frequent flyer miles, as they plan to join more than 10 events this year. For those who missed our inaugural SlatorCon London, make sure to download the presentations and read our follow-up coverage. 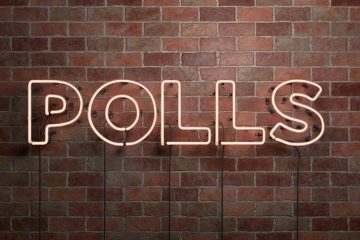 Editor’s Note: Participation in these polls has, thus far, reached up to 140 respondents. We encourage you to register for the Slator email newsletter and cast your vote.